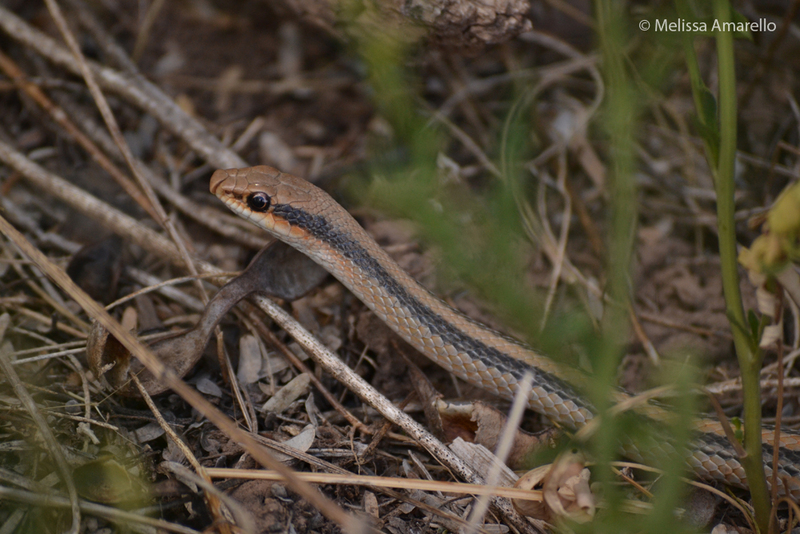 I have talked about western patch-nosed snakes (Salvadora hexalepis) several times recently (here and here) because it seems like we’ve seen one or more everyday. Unfortunately, they’re usually gone before I can get a decent photo. But yesterday one stuck around long enough for this slow photographer to snap a couple shots. The short walk between the old horse barn and our house has been good to us this year. 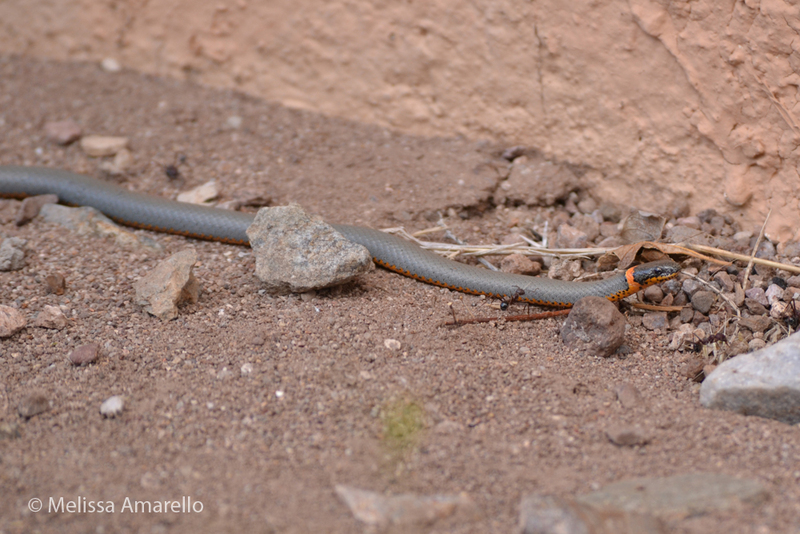 On our way back home after seeing the patch-nosed snake, Jeff spotted a ring-necked snake (Diadophis punctatus) poking around along the wall of the casitas. Everywhere I’ve lived and worked (so far) there have been ring-necked snakes. 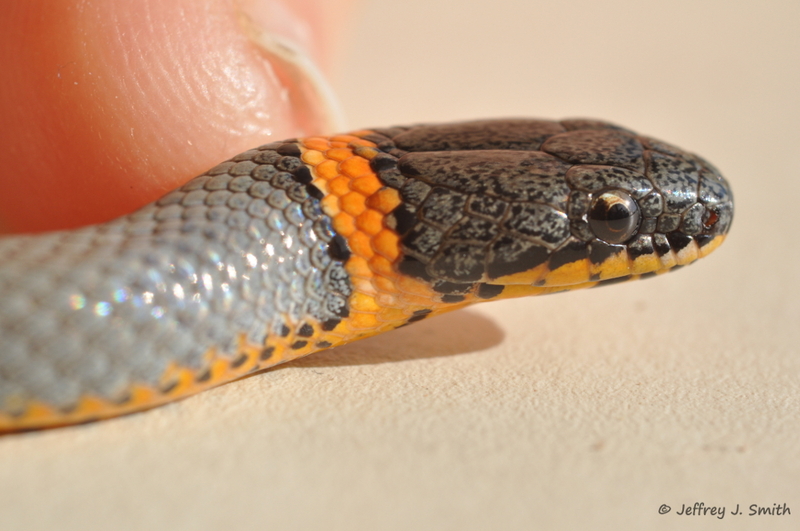 They are gorgeous little snakes; solid gray on top with brilliant yellow-orange-red bellies. I am not sure if this individual was unique or I just never noticed before, but the top of his head was not solid gray, but delicately mottled. 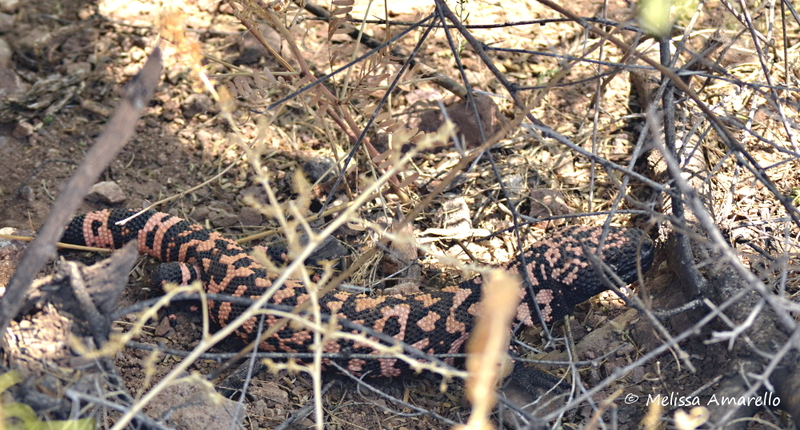 Jeff saw the Gila monster from 1 May again yesterday too, not far from where we first found her. Like rattlesnakes, Gila monsters have unique dorsal patterns which we use to identify individuals. The reptiles seem to be enjoying the cooler weather as much as we are! 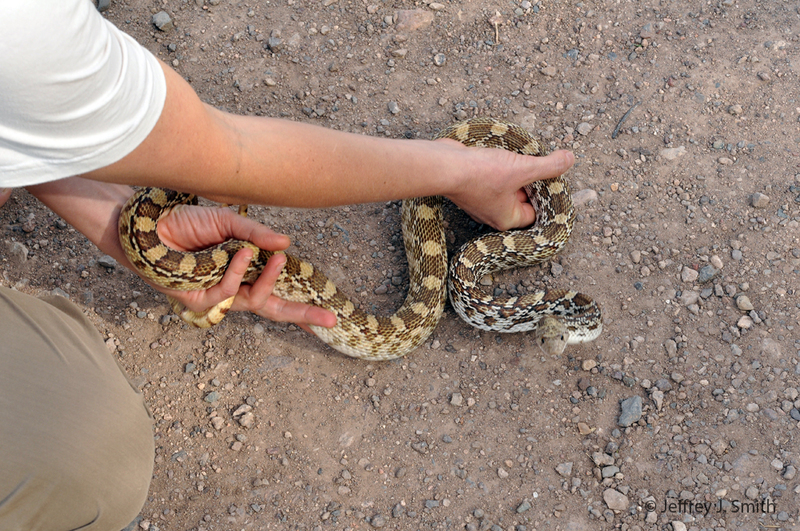 The Center for Snake Conservation has designated Fridays as Rattlesnake Friday, a day to promote the welfare of rattlesnakes by dispelling a common snake myth, and talking to others about the amazing ecology and natural history of rattlesnakes (for example). It’s part of their overall mission to promote snake conservation through education, which is very important to us at SocialSnakes. At Muleshoe, pretty much everyday is Rattlesnake Friday – they are the most common snakes we see, so it’s a treat for us to see any other kind of snake (though we LOVE our rattlesnakes :-)). As happened on another recent Rattlesnake Friday, yesterday was ruled by colubrids (large group of mostly harmless snakes) and we didn’t see a single rattlesnake! 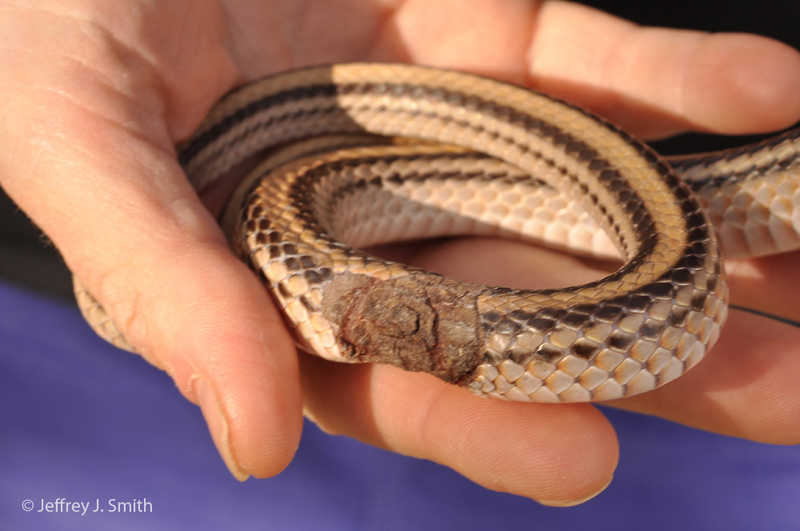 We saw three western patch-nosed snakes (Salvadora hexalepis): an adult, a juvenile, and this one with a very large wound. Looks pretty awful, right? We actually saw this snake cruising around our back a few days ago, so he appears to be getting along fine despite the injury (he’s very plump and healthy looking too). We released him without messing with the wound too much. 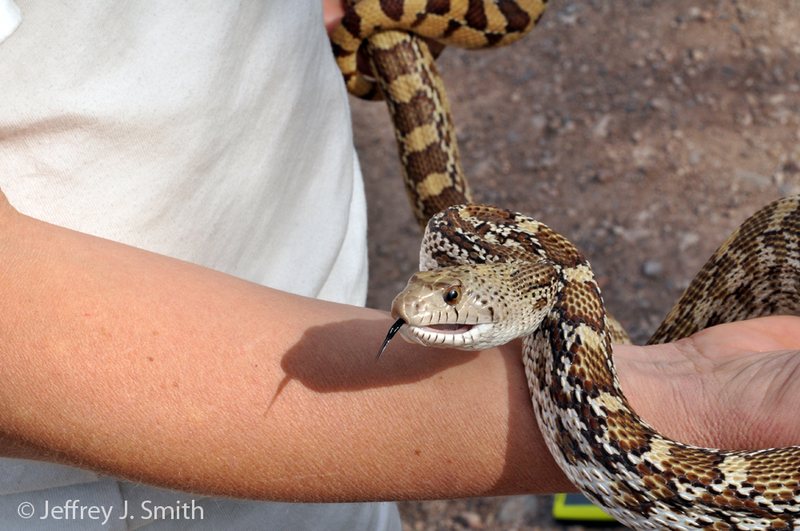 The real treat of the day, at least for me, was a HUGE female gophersnake (Pituophis catenifer), who kindly demonstrated her species’ ability to hiss loudly for our guests. Despite all her bluffing, she never bit anyone. 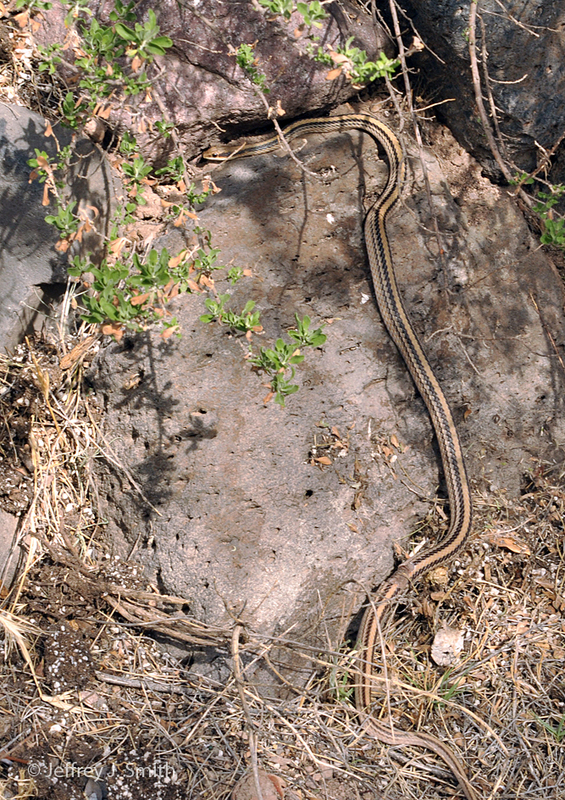 Typical gophersnake; they are awesome! Yesterday morning Jeff and I had a prolific little stroll to the old horse barns. 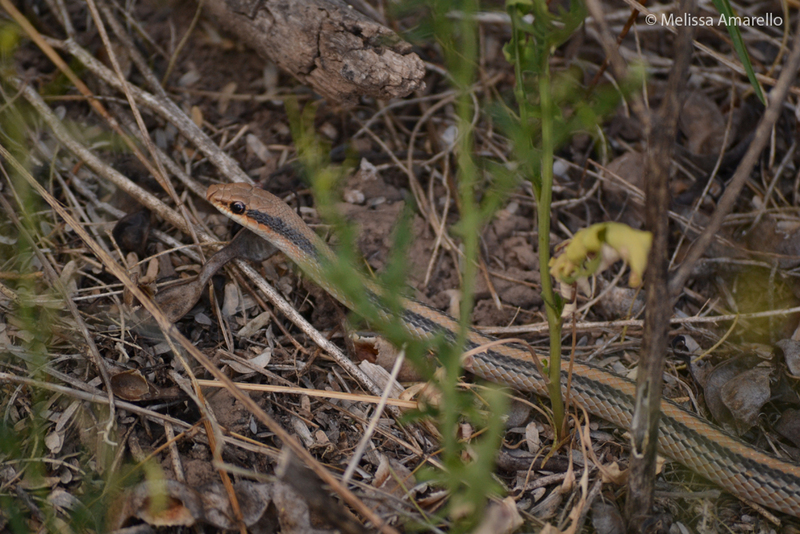 First, we spotted a western patch-nosed snake (Salvadora hexalepis) stretched across the road. A few steps later, Jeff saw the first Gila monster (Heloderma suspectum) of the year at the preserve! 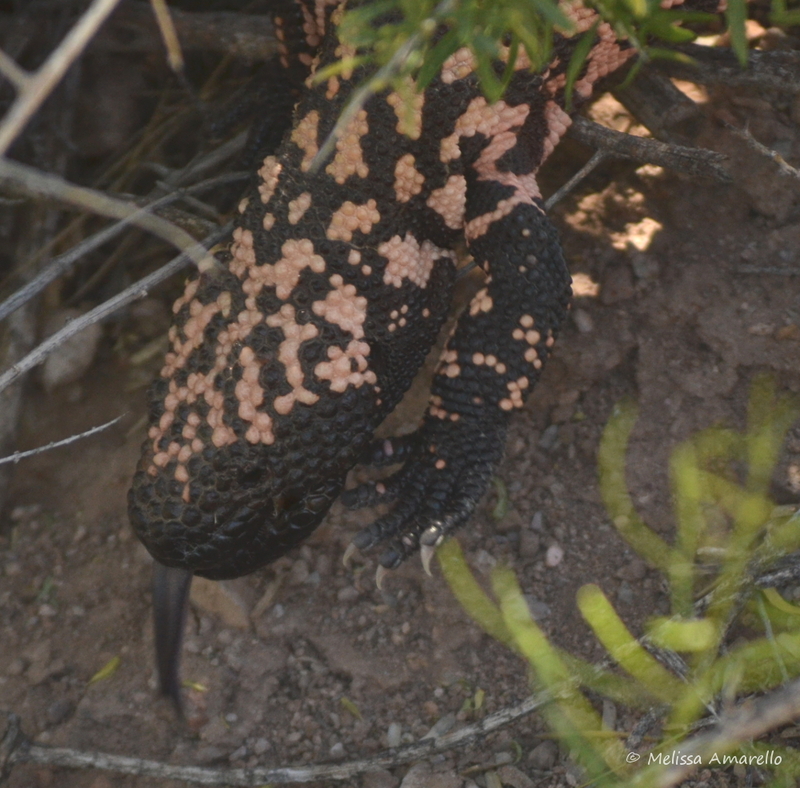 Gila monsters spend most of their life underground, so it’s always a treat to see one cruising on the surface.